Here are a bunch of icons you can use for Livejournal and Deviantart and various messenger programs and stuff like that. 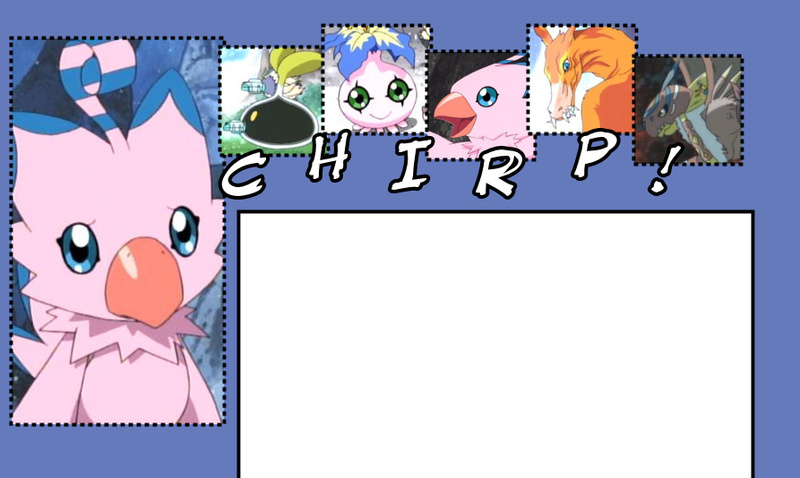 Feel free to edit them in any way you like, and it would be SO very swell if you could give Chirp! credit! Please keep in mind that direct linking is considered the ultimate evil on the internet, so if you want to use them, please oh PLEASE save them to your own computer and upload them to your own server.